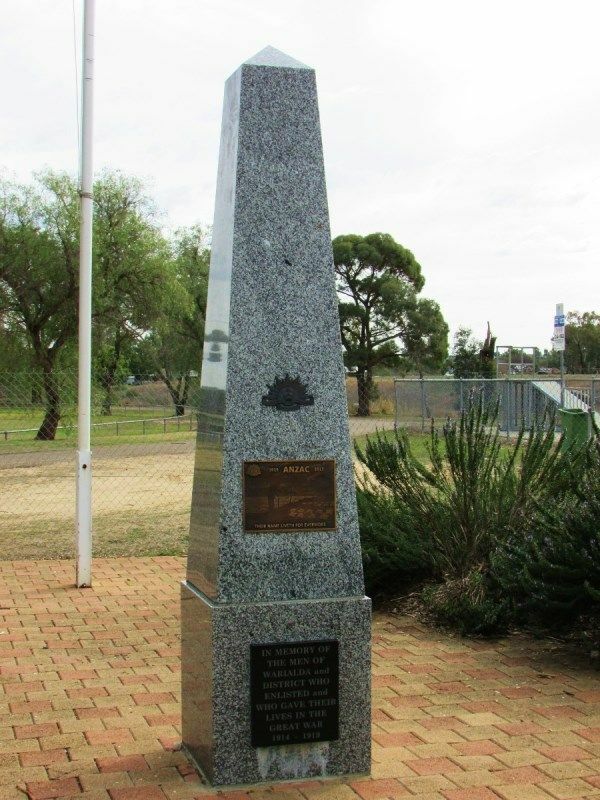 A monument commemorates those from Warialda and District who served in World War One. 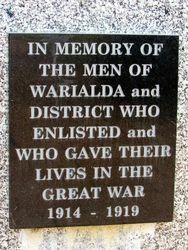 It was originally presented to the Warialda Municipal Council by C.H. 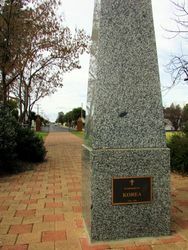 Edmonds Esq. 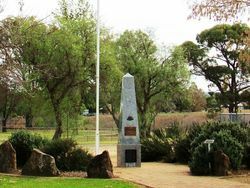 and John S. West Esq. 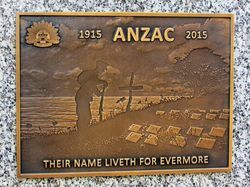 The centenary of ANZAC plaque was added to the memorial in 2015. The memorial has been restored and the original plaque has been removed. 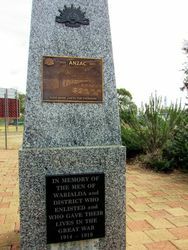 A plaque commemorating Korean War veterans was placed on the rear of the cenotaph in 2011.